The Athabasca river is designated a Canadian Heritage river for its importance in the fur trade and the construction of railways and roads. It originates in Jasper National Park and has a beautiful blue color like many of the rivers in the Canadian Rockies. We toured Banff and Jasper by car, but I was amazed how many people did the trip by bike. 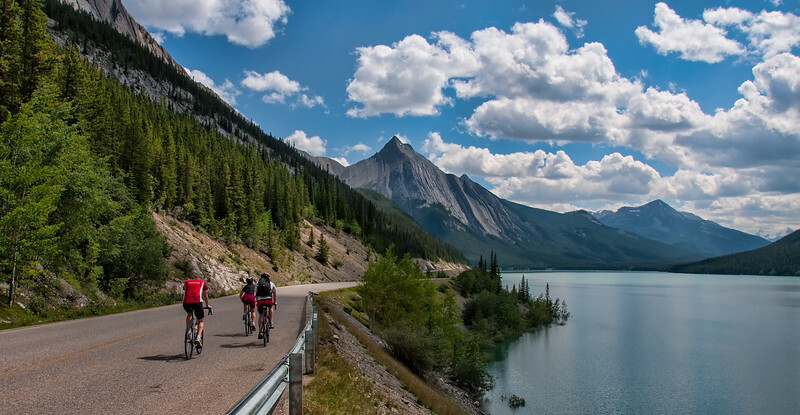 There was even a stead stream of cyclists on the 300 km road between Banff and Jasper. Pretty impressive, maybe I will try it one day when we are not towing a one year old on the trip with us. 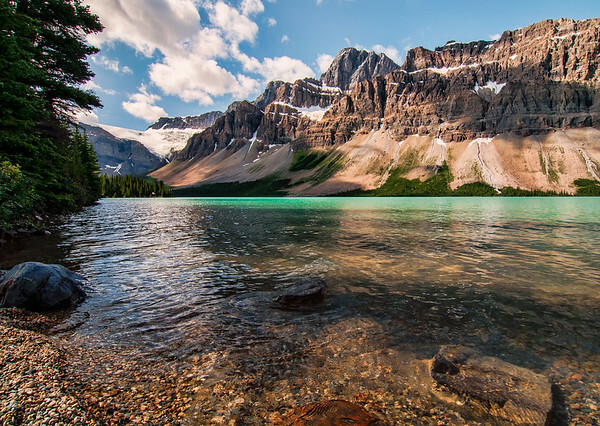 Bow Lake is one of the many amazing lakes along the Icefields Parkway between Banff and Jasper. National geographic once rated the Banff - Jasper drive along the Icefields parkway as one of the top 10 in the world and it is definitely one of the most amazing in Canada. 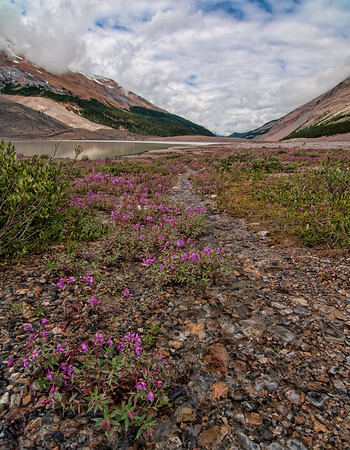 This stream is just below the famous Columbia Icefields in Jasper National Park. 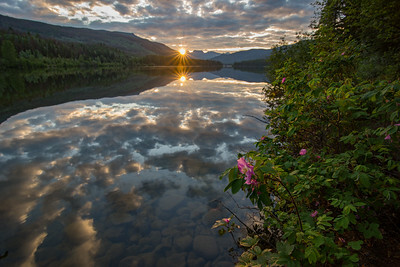 Despite the ice cold water that was glacier just hours before, some flowers manged to bloom in late July.